Brief Description of Call — U.S. Ambassador to Morocco, Dwight Bush, invites you to participate in a Direct Line webinar highlighting opportunities for U.S. businesses of all sizes in the Moroccan Aerospace sector. Ambassador Bush and his economic team, along with local subject matter experts, will discuss the challenges, risks, and opportunities in the Aerospace sector as well as the broader Moroccan business climate. 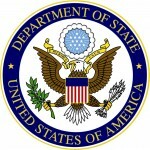 Presenters will also spotlight the upcoming U.S.-Morocco Trade and Investment Forum in Seattle. RSVP below. Is it possible to obtain a transcript of the webinar? I work in the industry but missed this announcement.